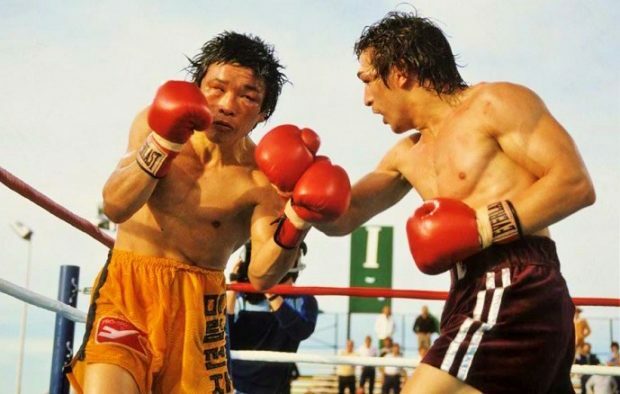 The 1980s remain perhaps the most successful decade in boxing’s history, a rare time when the sport was highly popular and widely accepted as mainstream entertainment. Champions such as Sugar Ray Leonard and Marvelous Marvin Hagler had become huge stars, and right there with them was Ray Mancini. 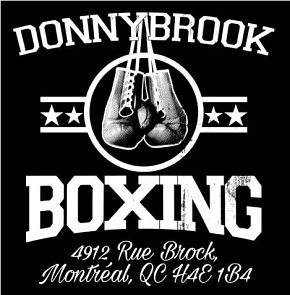 But the story of young “Boom Boom” Mancini is not just about triumph and success; it’s also about every prizefighter’s worst nightmare. Ray not only became a media darling, a champion and a millionaire; he also had the misfortune of severely injuring an opponent. South Korea’s Duk-Koo Kim, who fell to Mancini’s fists in round 14 of a terrific, nationally-televised battle, would die in hospital a few days after. The Good Son, a documentary which explores Mancini’s life and career, as well as the circumstances and consequences of Kim’s tragic death, is a unique and moving film. The tale told by director Jesse James Miller and adapted from Mark Kriegel’s commendable book of the same name, is, above all, one of families and relationships. 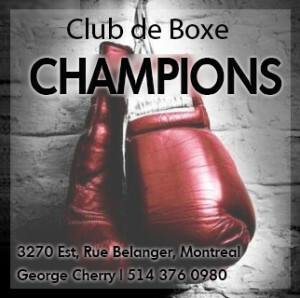 The story of “Boom Boom” is in fact the story of the Mancini clan, beginning with Lenny Mancini, Ray’s father, who was the top ranked contender to the lightweight title in 1941, when he had to abandon his boxing career and instead serve his country during World War II. The elder “Boom Boom” Mancini in his prime. Upon his return and after a failed second run at boxing glory, Lenny focused on attending to the needs of his family in Youngstown, Ohio. 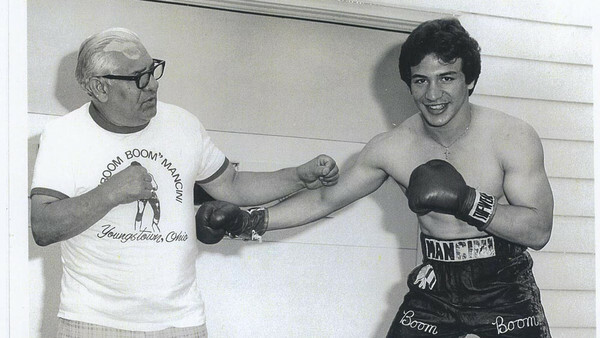 And thus we meet the young Ray Mancini, the popular, athletic kid who obeyed his parents, did his homework, and eventually followed his older brother into the boxing gym where he found his true passion and purpose in life. By the 1980s, the boxing media and the television networks had recognized the huge potential of the white, good-looking, working-class kid with the all-action style and the touching story of how he had promised his dad he would one day win the lightweight crown just for him. Lenny Mancini with his son. This is where the documentary takes off. Interviews with Mancini family members and friends document Ray’s ascension up the ranks. 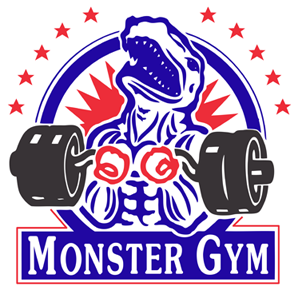 They describe how the demoralized people of Youngstown rallied behind their new-found hero, filling up local gyms to find something to cheer for while dealing with chronic unemployment and climbing crime statistics. The young Ray, always eager to please those around him, duly obliged by winning contest after contest for his family and for his townspeople, working his way up the ranks and giving his hometown hope. 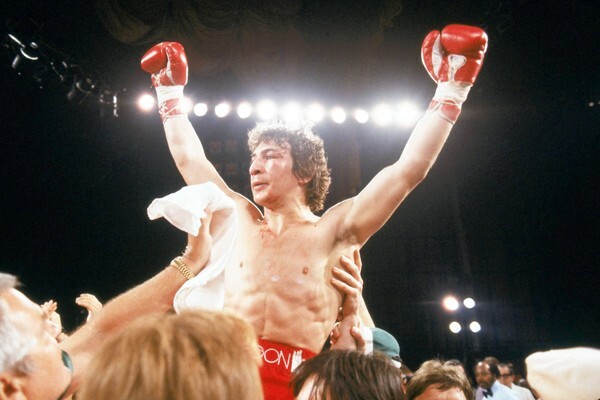 Ray Mancini celebrates after winning the lightweight title from Arturo Frias in May of 1982. With each new triumph Ray impressed more viewers on national TV, drawing accolades from the media for his thrilling style and dramatic victories. “Bang that body! Boom! Then come up to the chin!” was the only strategy he knew, as told by “Boom Boom” himself to an enthralled Sugar Ray Leonard. And Ray replies, “I could never fight that way!” Indeed, it takes a special kind of boxer to trade shot-for-shot every time out, but if the talented Leonard could never fight that way, “Boom Boom” could never fight any other way, even if he had tried. 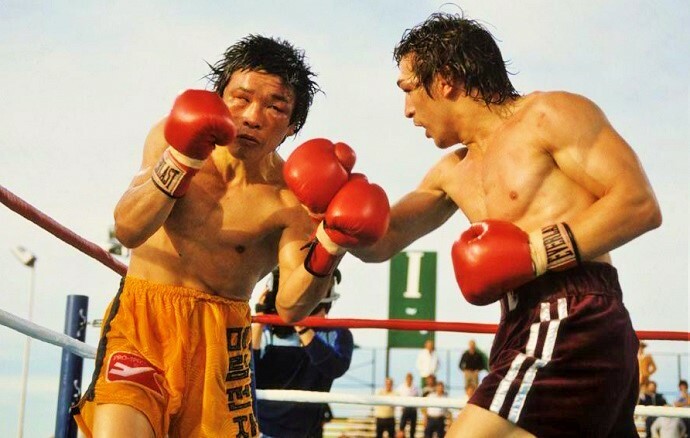 Mancini’s first shot at the lightweight crown, a TKO loss to the great Alexis Arguello, is completely ignored by the documentary, even though his gallant performance in that fight did as much to endear him to American sports fans as anything else. Instead the film cuts straight to Ray’s title-winning victory over Arturo Frias for the WBA version of the title. Special attention is warranted when we hear Ray’s former promoter, Bob Arum of all people, call the WBA “corrupt” for trying to prevent Mancini from fighting for their title belt. Ray stopped Frias in the opening round to finally win the championship, thus fulfilling the promise he had made to his father years before. Mancini and challenger Duk Koo Kim weigh in for their fight in Las Vegas. 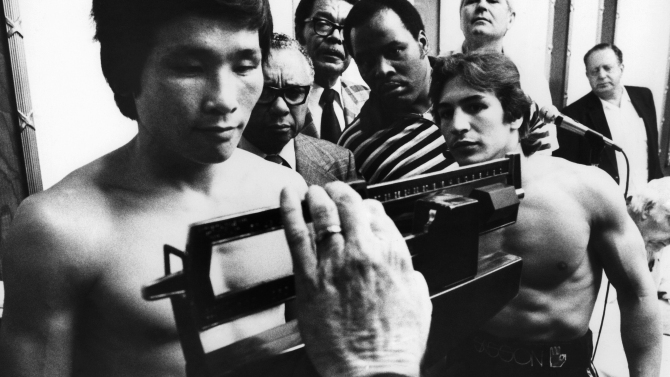 Inevitably, the triumphant mood of Mancini’s meteoric rise to the top of the boxing world changes when we revisit the Duk-Koo Kim fight, a tragic contest that still casts a shadow 34 years later. In documenting the ominous showdown, the film features interviews conducted with Kim’s wife, son, parents-in-law and trainer, all living in South Korea, all of whom paint a vivid picture of the rugged, determined and fatally valiant fighter. 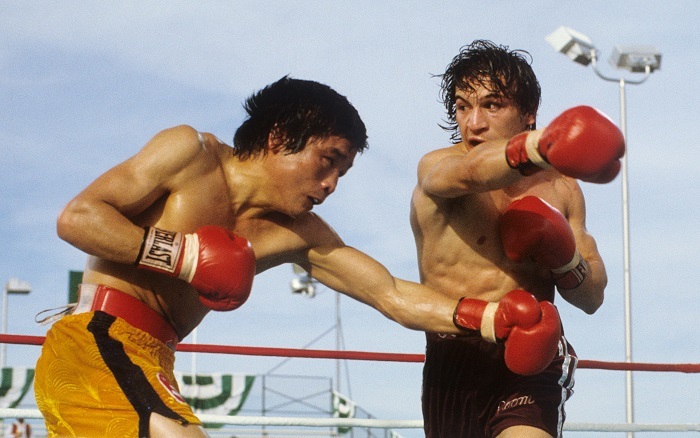 A veritable war of attrition, Mancini vs Kim was fought in Las Vegas in front of thousands of rabid spectators and broadcast on national television. The vicious contest seemed destined to become an epic battle for the ages, as the punishment exchanged between both battlers was unrelenting. The bout was a war, with both Ray and Duk-Koo determined to stay on their feet and fight until the bitter end. And when the end finally came in the early moments of the fourteenth round, it was a hammering right from Mancini that floored Kim and forever sealed the fate of the Asian warrior. Kim was immediately taken to the hospital, where he would die four days later from a brain hemorrhage. This story is already known by fight fans, as is the aftermath of the tragic bout. The challenger’s mother and the fight’s referee both committed suicide after Kim’s death and Mancini was never quite the same fighter. But the film’s value comes not just from re-telling this story, but from its intensely personal approach to it. After all, Mancini had a relationship with the romanticized version of boxing from the start. 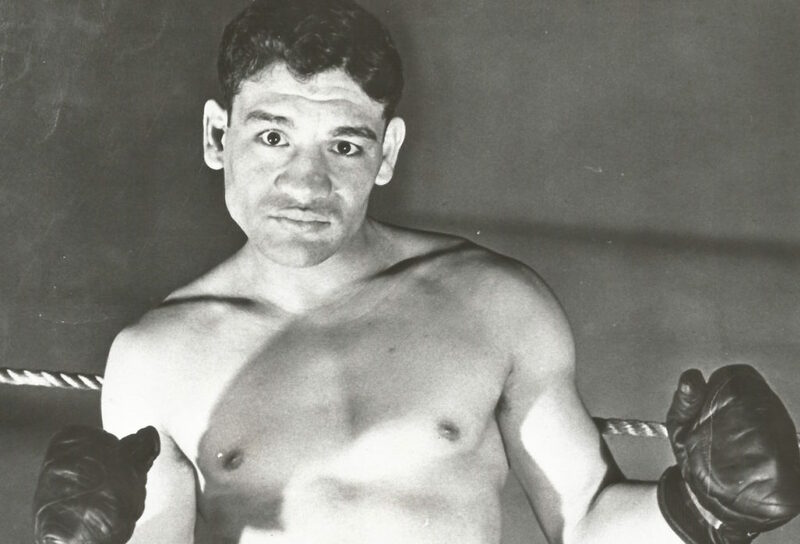 Not only did he label a picture of his father’s busted-up visage after a gruelling fight as “the most beautiful picture” he ever seen of him, but Ray himself became the poster-child of the American boxing dream with his rocket-like climb to the top. It is as sad as it is ironic that it fell to such a fighter — who traded on heart and will as much as power and aggression, who believed in all the self-serving myths of boxing — to endure the harsh reckoning that comes from the most tragic outcome possible. 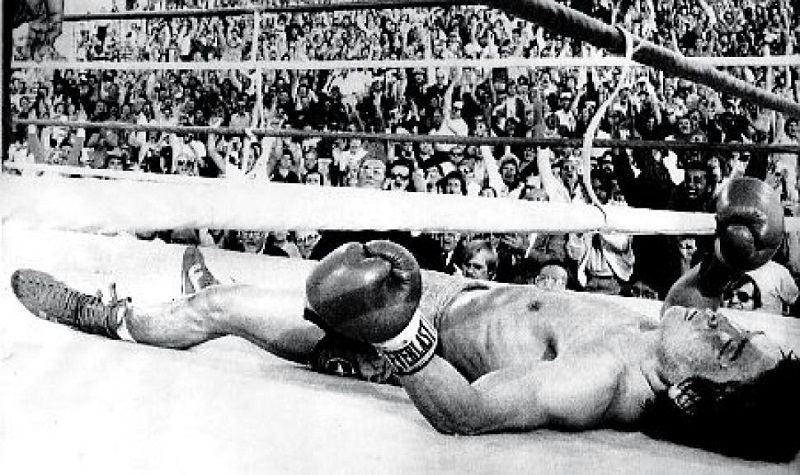 Kim would rise from this final knockdown, but after the fight was stopped, he lost consciousness. The scenes dedicated to Ray’s meeting with Kim’s wife and son are also powerful, if somewhat muted; but despite the awkward circumstances of the encounter and the language barrier, real human drama and emotion fill the screen. And the sequence in which Kim’s son describes his attempt to fully understand his father’s story stands out most of all. Duk-Koo Kim never knew his son, as his wife gave birth to him only after the momentous fight in Vegas. But the younger Kim, poised and serene in front of the camera, also “a good son,” tells his own tale of loss and discovery.